Websites that work on every device. People search for things they need when they think of it, which often means they search first on a smart phone. If your website does not work on a phone, you will lose that business. More than 70% of searches are now done on smart phones! Many web design firms use WordPress that can take up to 15 seconds to load a page on a smartphone. We design websites that are optimized to display properly on phones, with streamlined code that uses minimal bandwidth, and typically load in less than 5 seconds. Google reports that 29% of mobile users will leave a web page that is not designed for mobile devices.Check your website here. Custom website design means you can have the elements on your web pages you choose. ** You are not restricted to a purchased theme that has limited flexibility. 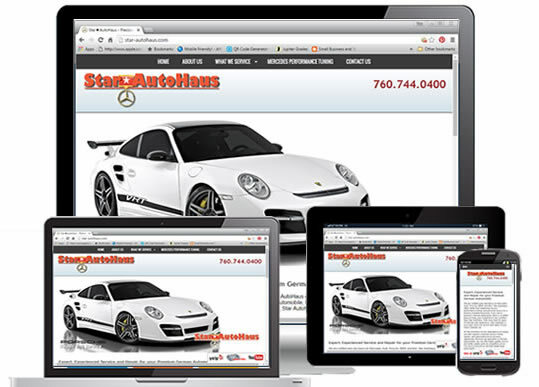 Our websites are built to order, and show different content, depending upon the device. Call to action features like touch-to-call, email or text display only on phones. More detailed copy and content is available on larger screens. When you call, you'll talk to Dave. You'll get straight answers that you can trust. We'll take the time to show you all the ways your business can grow. We understand that building business means building relationships, for us, and for you. That is why we make ourselves available after hours and on weekends. If you have a question, just give us a call! By utilizing the excellent Google Suite of advertising tools, any business can enjoy the kind of targeted marketing that used to be available only to large companies and high-priced ad agencies. It is now possible to advertise in your area to people who are looking for your product or service, see exactly who is visiting your site, and track every click and conversion. Dave White is an AdWords Certified Google Partner. The Google AdWords certification is a professional accreditation that Google offers to individuals who demonstrate proficiency in basic and advanced aspects of AdWords. An AdWords certification allows individuals to demonstrate that Google recognizes them as an online advertising professional. 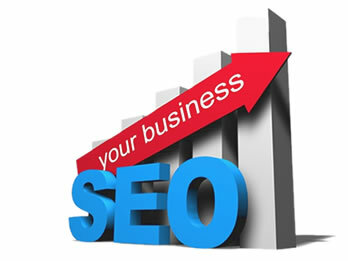 We are SEO experts and we do thorough research to find the exact keywords and phrases to get your website noticed and selling. We incorporate this research into every aspect of your site design to ensure the absolute best performance for your advertising dollar. We offer a wide variety of creative services including: website development, email marketing, branding, video scripting and editing, graphic design, and copywriting. Advertising services include search engine optimization, search engine marketing, AdWords campaigns, email campaign management and social media advertising. Complete this simple form and a text will be sent to Dave. You will get a call or email, depending on which item you enter. If you enter both, we will email you first. *Logo designs are included in website backages. Logo designs are otherwise subject to normal pricing. **Includes common elements like slide shows, video, newsletter signup forms, and other common design elements.